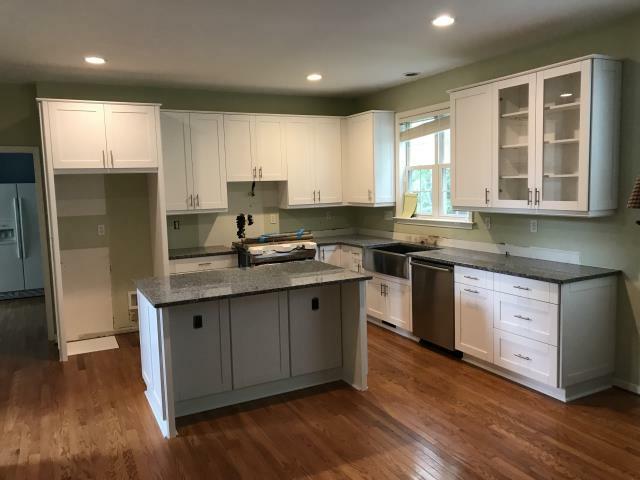 For the finest selection of granite countertops and custom kitchen cabinets in Chesterfield, call Panda Kitchen & Bath of Richmond VA. 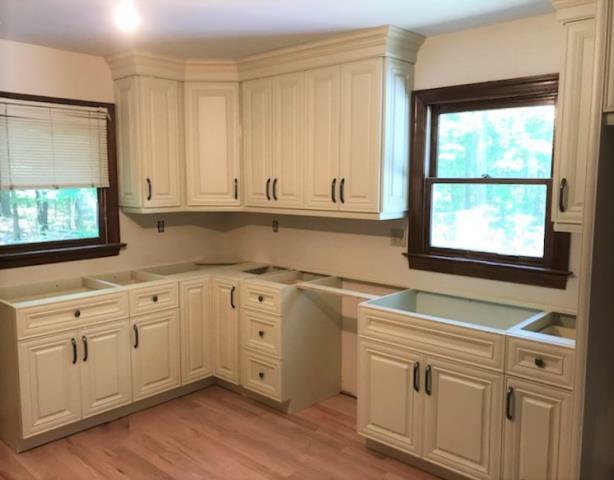 Whether you’re looking to simply replace a couple kitchen cabinets or give your bathroom an entirely new look, our team of expert cabinet designers, installers, and project coordinators are ready to help you make your kitchen or bath remodeling dreams a reality. 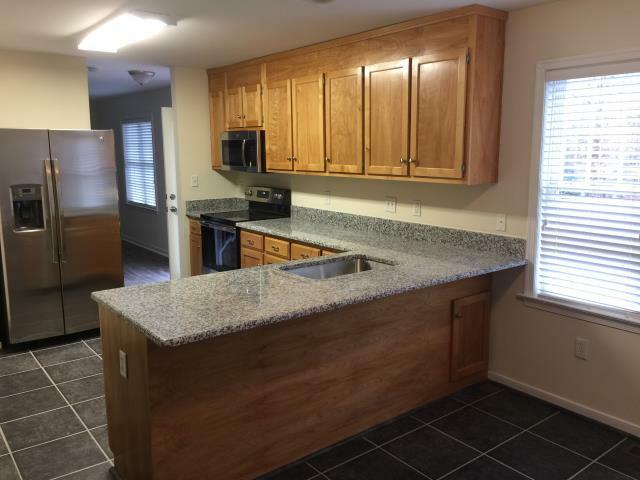 We know that a remodeling project can take a considerable amount of time and money. 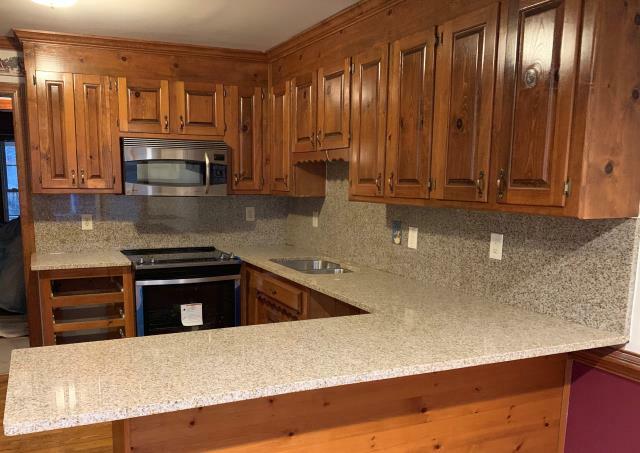 That’s why we offer high quality granite and natural wood materials at an affordable price, along with complimentary estimates, measurements, and designs for every job. Call us today to schedule your consultation! We used Panda Kitchen before, now2nd time around, will do it again! 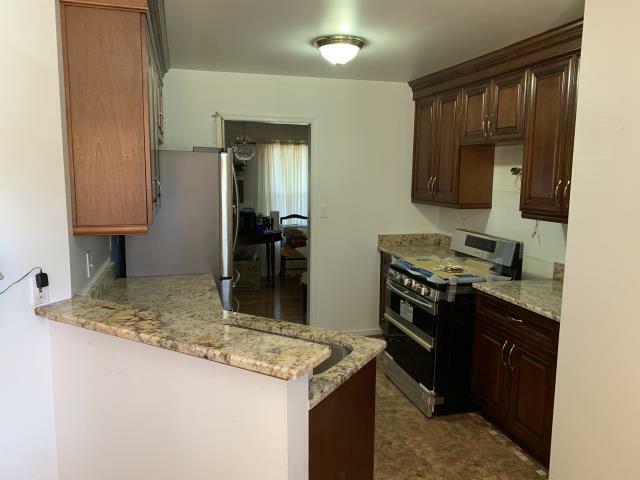 They did such a good job on my kitchen that I called them again when it was time to do two bathrooms. 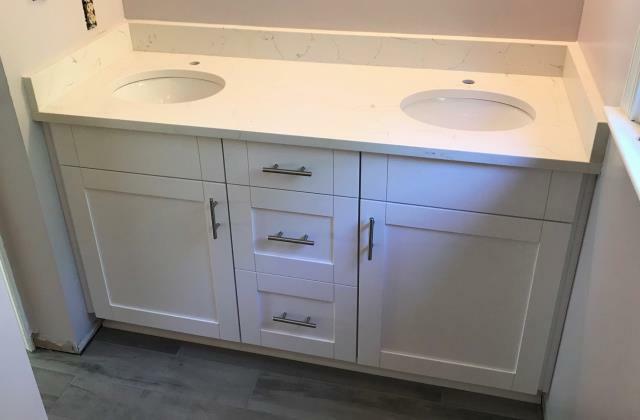 Unlike many retail options, you get more hand holding, attention to detail and smooth coordination with scheduling cabinet installs and plumbing. Overall, very positive experience. Superior Service, fantastic pricing and exceptional customer service! I knew nothing about granite and Molly helped me every step of the way! She even called me after the installation to make sure I was satisfied. My kitchen looks fantastic. I would recommend Panda Kitchen to anyone wanting to upgrade a Kitchen!! Excellent Product, service, and price! 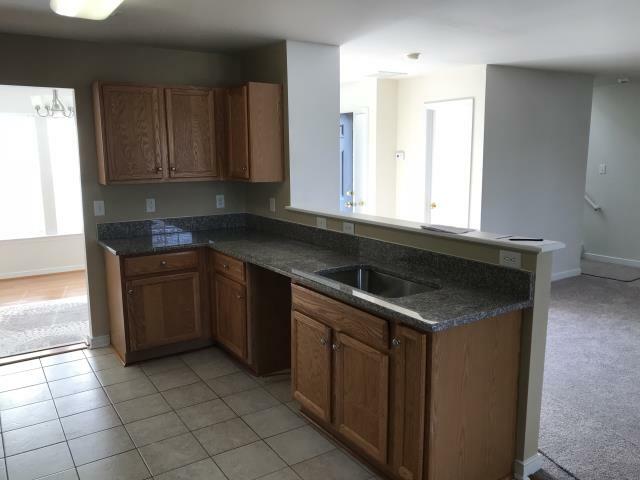 We have had Panda Kitchen remodel our kitchen and bathroom and install a kitchen in a new construction. We have loved every project they have done for us! Their prices can not be beaten for the quality they offer. It was a joy to do business with their sells staff. Plenty of options to choose from and once decisions made scheduling of installation was arranged. The installation went as planned with no hang ups. Installers knew their job and did it well. It is a great feeling to be 100% satisfied with big purchase decisions. From the beginning of my project to the end, I was in great hands with Molly who understood my goals, and helped steer me away from bad decisions and helped me make good ones. Molly stays in touch and keeps you updated on the project throughout and follows up afterwards. Jay and the install team were great. They are very respectful of your home and are very fastidious about their work. My granite fits perfectly and looks wonderful. I get lots of compliments on the new kitchen and I'm very happy with the results. 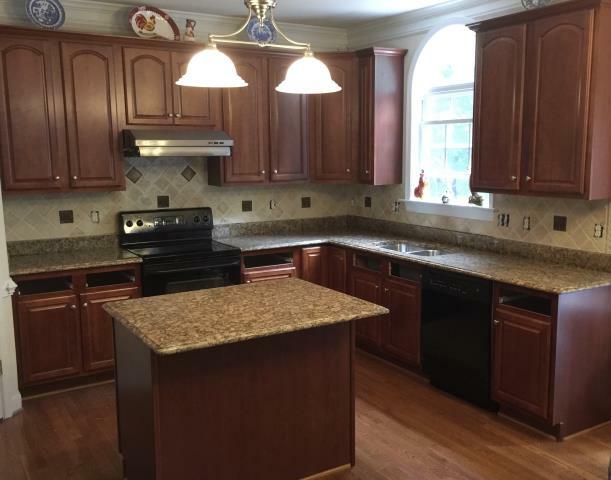 Coffee maple kitchen cabinets with the Golden Crema Granite counters. We look forward to helping you with the bathroom project. 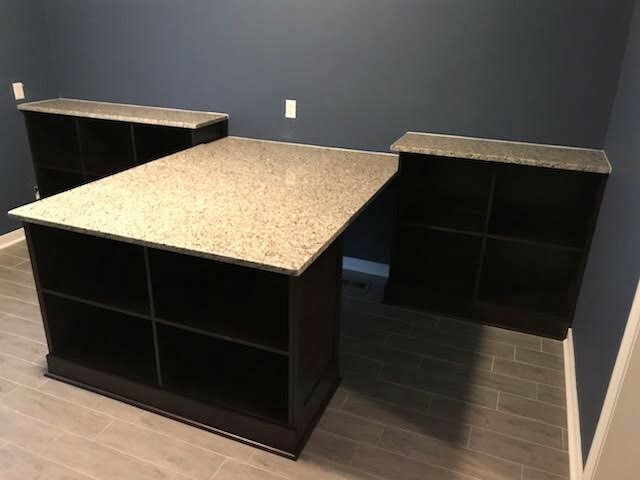 Wheatfield with full granite splash installed with client's existing cabinets. After the 25-year sealer warranty application, we will be completely done with this job. Just finished installing our vanilla maple wood raised panel cabinets with our in-stock green butterfly granite. We love the new extra hidden storage behind the sink area. Just installed this custom Chocolate Shaker laundry room work area with White Tulum granite. Love helping clients with custom pieces to suit their needs. The in-stock Golden Crema can be paired with any cabinet and look fabulous. White Skaker maple cabinets with the Azul Platino granite. We just installed the Rose White granite counter top for a client that I sold to before I left for my vacation. It feels so good on the first day back with a happy client. 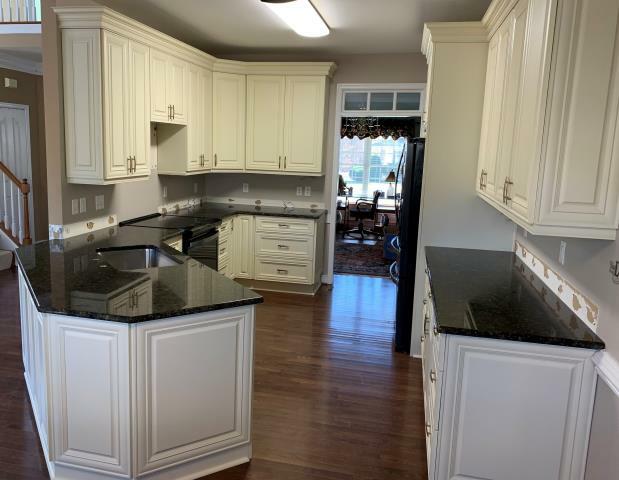 Just finished installing our popular natural maple double shaker cabinets and timeless New Caledonia granite. 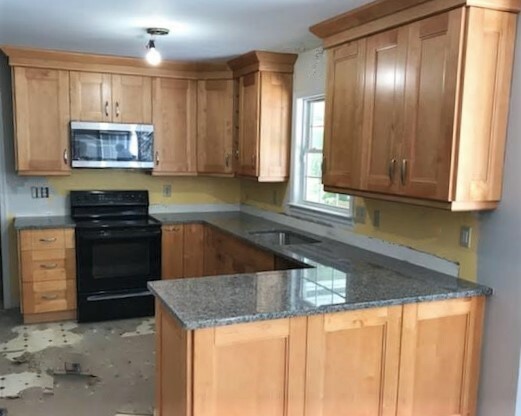 We can't wait to see this kitchen once the new floors and backsplash have been installed! Our installers just wrapped up setting these beautiful vanilla maple wood cabinets for a customer. Wow! 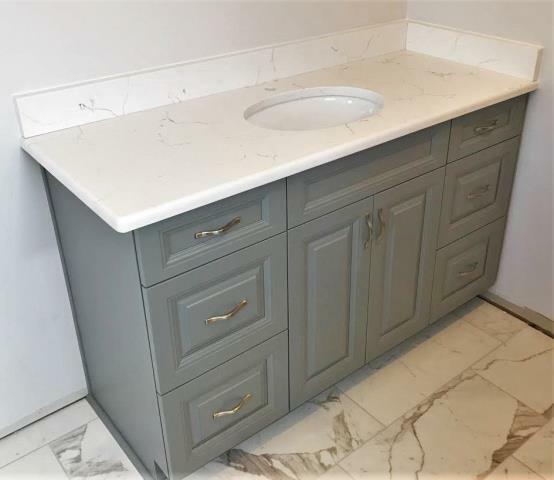 Our Hampton Gray raised panel vanity with our in-stock Classical White Quartz is stunning on our clients new marble floor. What a beautiful transformation! It's amazing how by just changing the counters your kitchen can be refreshed to look brand new. Our Ubatuba granite paired with our clients existing natural maple cabinets and hardwood floor has given this kitchen a new life! Referrals are the best advertisment a company can ask for. 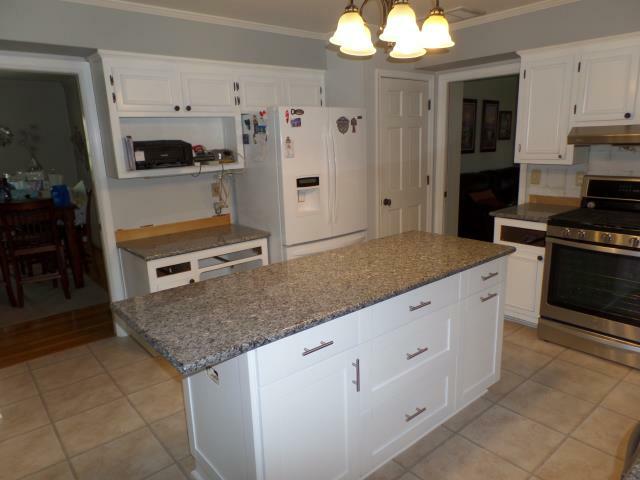 This client, referred by a previous client, purchased her new kitchen granite counters. She loves her new counters and will be referring her mom to our company. So happy to install another granite counter top for my loyal client. 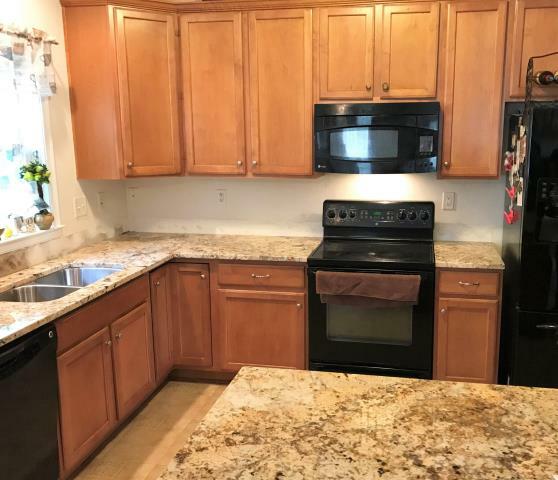 The Bainbrook Brown granite definitely updates this kitchen. Early this year we installed a brand new kitchen for my client. Last week we went back to install two more vanities for her. It has been a real pleasure working with a return client and look forward to more projects in the future. Our in-stock black pearl granite is the perfect match for our customers new tile floor and oak cabinets. 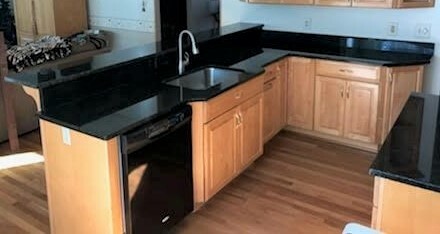 About three years ago, our company installed my client's kitchen granite counter. 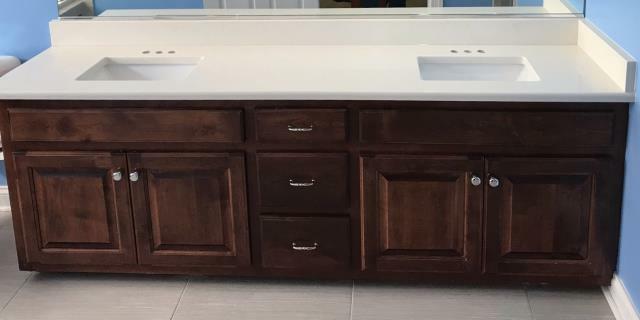 Today we are installing a vanity top for them. We just installed this island cabinet with our in stock white shaker maple and Azul Platino granite for the whole kitchen. My client is so happy with their selections. The Giallo Fioritto kitchen granite counter with the premium ogee edge profile is a perfect match on my client's existing cabinets. 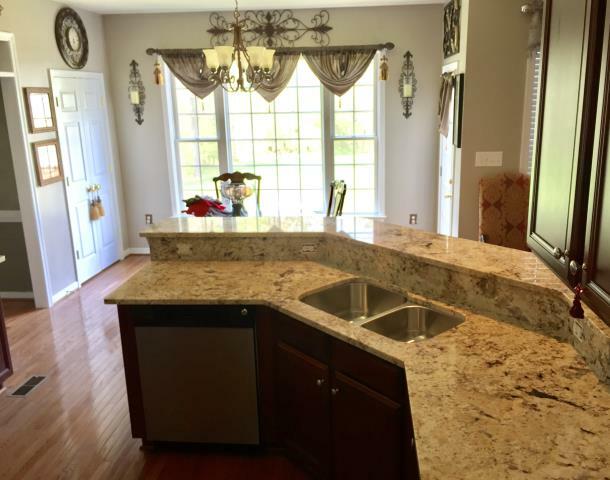 Yesterday we installed Golden Crema Granite counter tops for my client. So happy to hear that she loves her new kitchen counter.